We highly recommend The Dog Wizard. We have two standard poodles. They behaved fine with us, but when they encountered other people or encountered other dogs our poodles behavior was embarrassing. Our poodles spent two weeks with Jessica, and they came back to us as extremely well behaved dogs. Now it is enjoyable to take them on walks! We can even dine alfresco while they sit at our feet. 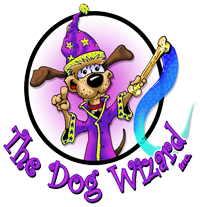 We highly recommend The Dog Wizard.